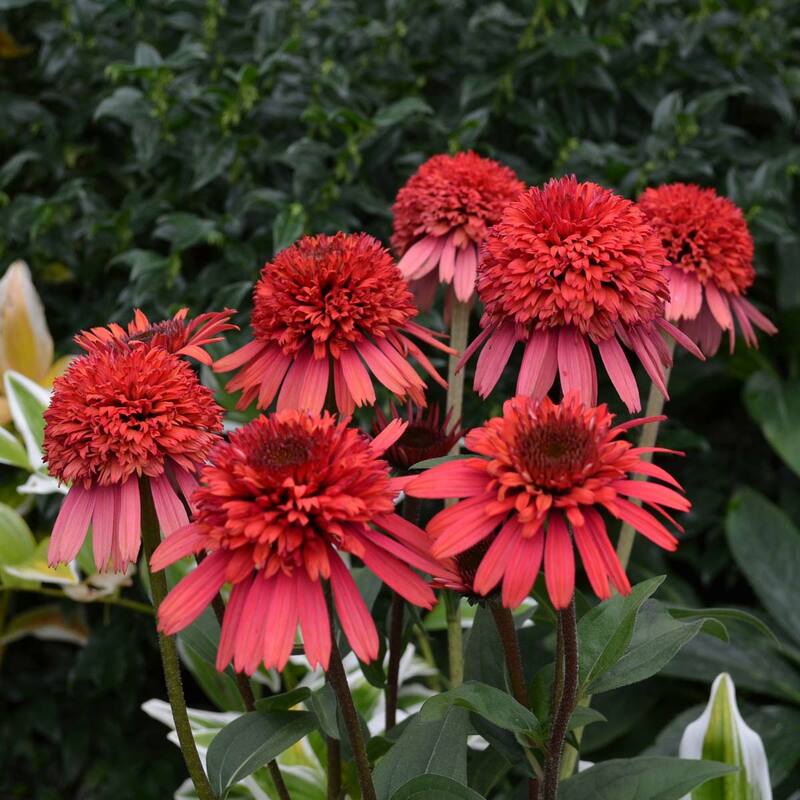 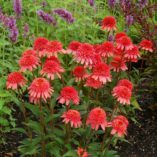 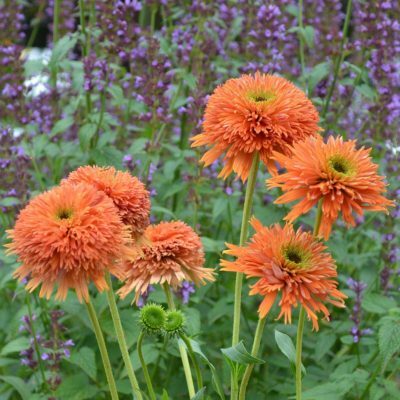 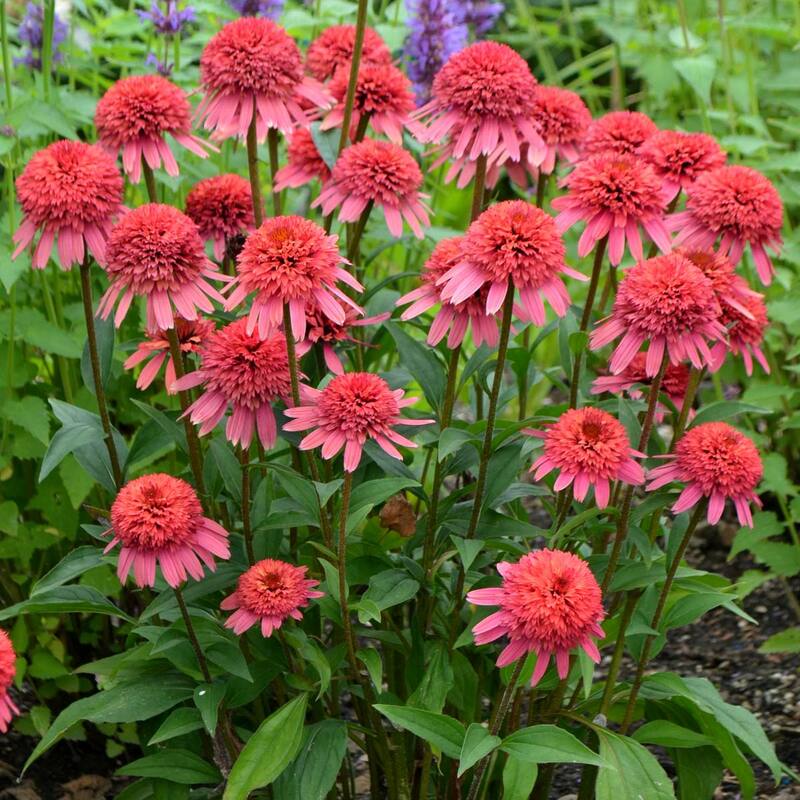 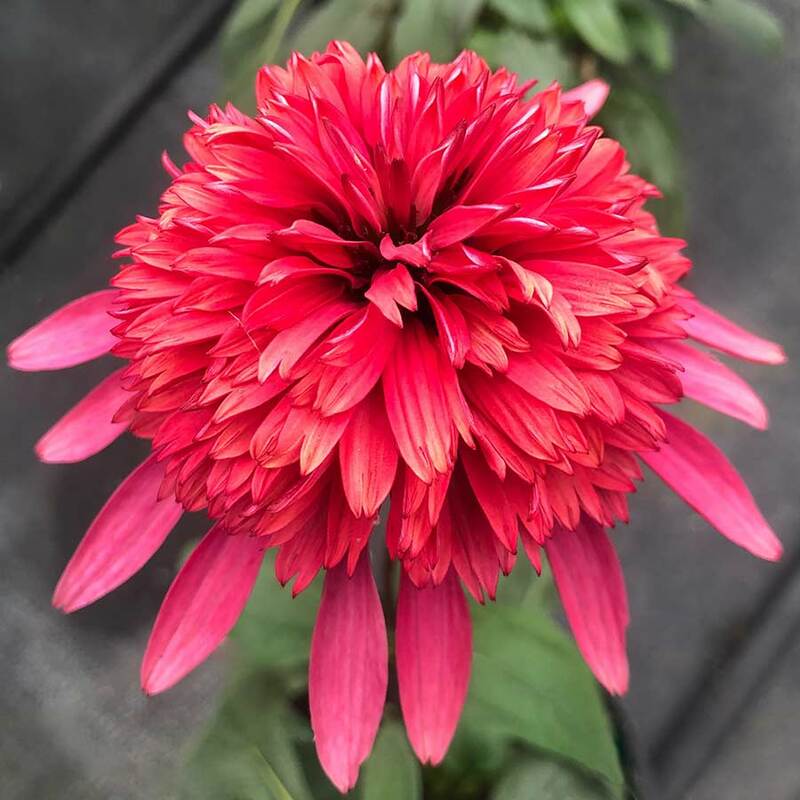 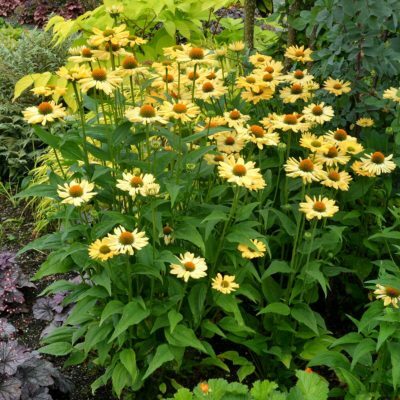 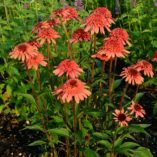 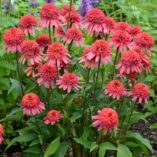 Echinacea SUPREME™ ‘Flamingo’ | TERRA NOVA® Nurseries, Inc. 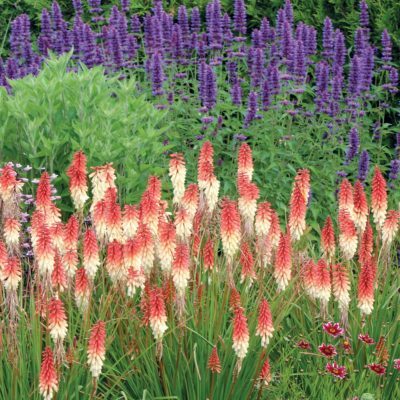 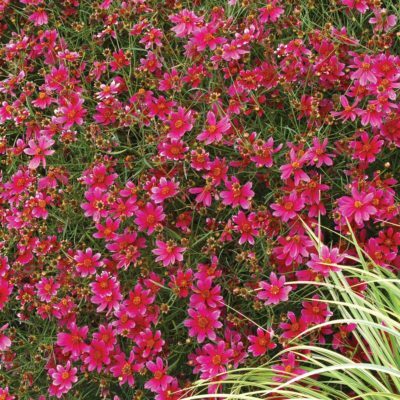 Very rich, coral and shrimp-pink colors combine for a most unbelievable flower. 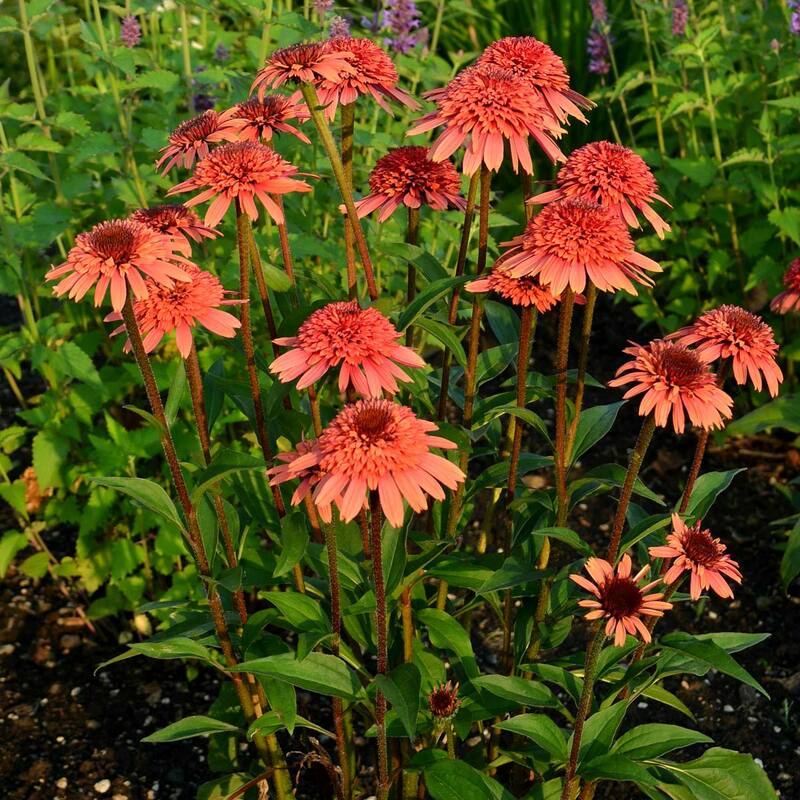 Fully, double with complementary ray petals of rosy copper, makes SUPREME™ Flamingo' a garden beacon, matching perfectly with the other Supremes. 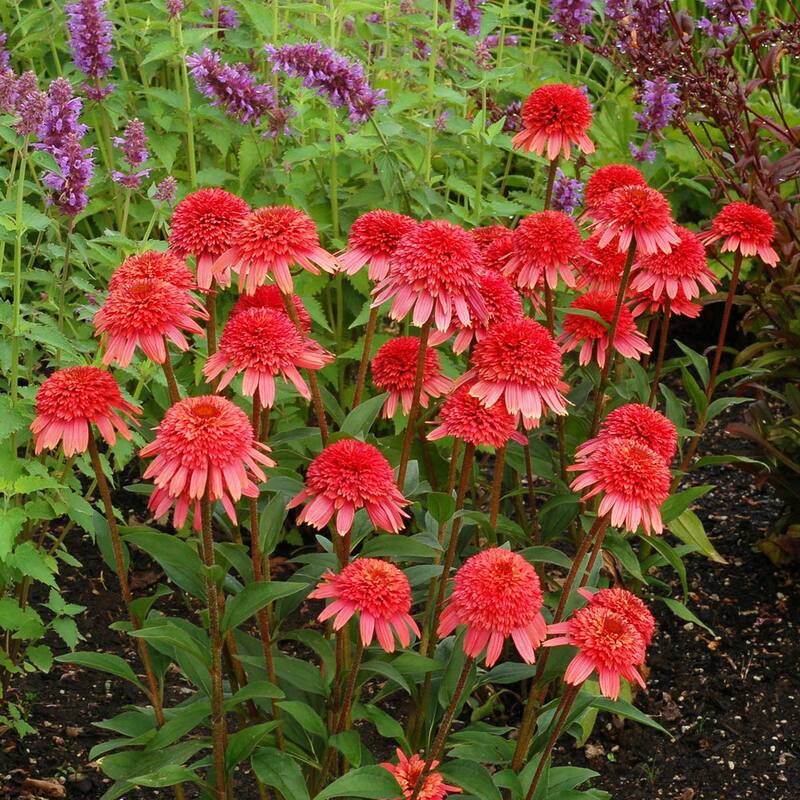 Each one's a garden diva without attitude. 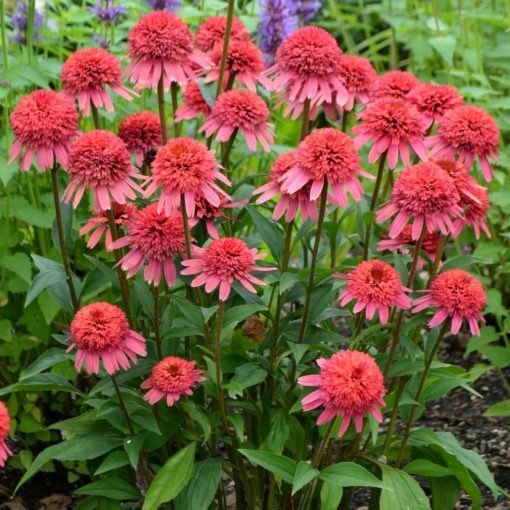 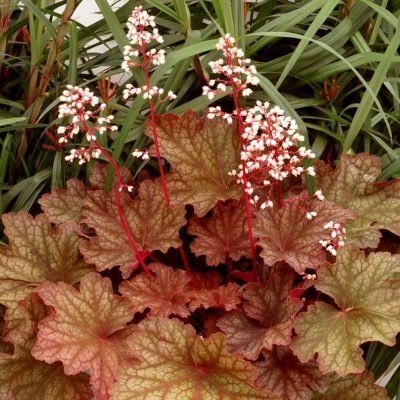 26" / 15" / 30"
Compared to 'Gum Drop', it has a narrower habit, and a different flower color – coral pink disc flowers surrounded by flamingo pink colored rays.